It's been a busy past couple of weeks attempting to see as many of 2016's movies as possible before the end of the year. Of course, the barrage of films the studios decide to release in December alone doesn't help and while I'm doubtful Assassin's Creed, Why Him?, or Sing stand a chance of ending up on my Top 10 of the year I'd still like to catch up with them for peace of mind if nothing else. Speaking of my Top 10 of the year-I'll have it posted this weekend after I see La La Land at some point this week, but it looks as if that will be the last movie I'll be able to see before the new year that will seemingly play any role in awards season. I would have like to have caught Patriots Day, Live By Night, and of course Silence before the end of the year, but it seems I won't catch those until their nationwide release dates in January. January is certainly a better time of year for smaller markets as we're finally getting Oscar contenders that debuted in New York, Los Angeles and other larger markets this month. All of that said, we talked Passengers this week as it stars Chris Pratt and Jennifer Lawrence and expected it to perform well due to these factors, the holiday weekend, and the general appeal of blockbuster science fiction films, but it seems the star power of our two faces on the poster was only enough to garner the film a $30.4 million Wednesday to Sunday debut. The $110m-budgeted Sony Pictures release earned $7.5 million on Christmas day for a $14.5 million weekend total. This isn't a total bust as Christmas numbers are always a bit jumbled out of the gate, but that should all even out this week as things begin to calm. It of course doesn't help that there is another huge sci-fi film out at the moment (Rogue One dropped 58% from its debut weekend for a $64.4 million second weekend) as well as having the most competition with fellow new release, the family friendly Sing, which easily won the weekend with a $35 million weekend cume and an estimated $77 million Wed-Mon debut. As always, follow us on Instagram, Twitter, and subscribe to our YouTube channel as we have a new review (or reviews) up each week! 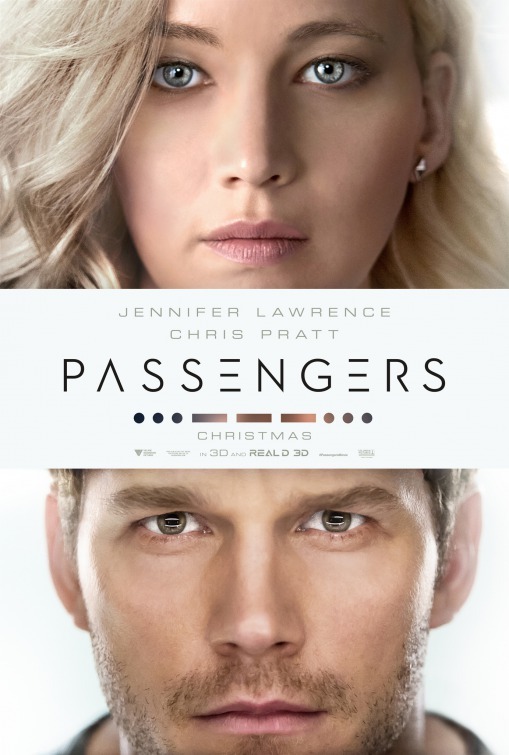 Read my full Passengers review here.